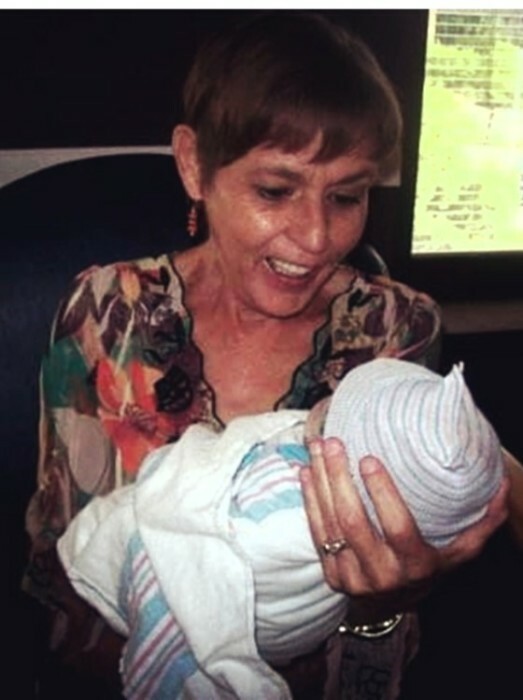 Karen Sue Fordham born June 10, 1951, passed away peacefully surrounded by her family on April 12, 2019. Karen was a dedicated mom who inspired many people throughout the years with her strength and determination. She had a smile that would light up a room. She is preceded in death by her mother Marcella Fordham and sister Shirley Fordham. She is survived by her father Bill Fordham, twin sister Sharon Romero (Leonard), brother Dennis Fordham, children Raquel Baca-Tompson (Michael), James Baca III (Angela), Erik Baca (Annamarie), and Joshua Baca (Irene), 13 grandchildren, 5 great grandchildren, and several nieces and nephews. A special thank you to the staff at Del Corazon Hospice for their loving care this last year. A celebration of Karen’s life will be held at Berardinelli’s Chapel on Luisa St. on Saturday April 20th at 11am with reception to follow. Rest in perfect peace Mom, we love you.